Chithirai Thiruvizha is one of the most important annual festivals held at the world famous Madurai Meenakshi Temple at Madurai in Tamil Nadu. In 2019, the date of commencement of Chithirai Thiruvizha is April 8, 2019. Pattabhishekam of Goddess Meenakshi is on April 16, 2019. 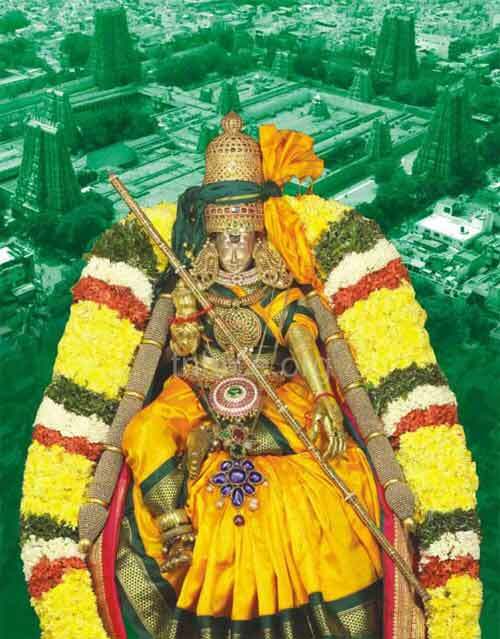 Celestial Wedding or Thirukalyanam of Lord Sundareswarar with Goddess Meenakshi is on April 17, 2019. The Car festival is on April 18, 2018. The festival is celebrated for 12 days during the Tamil month of Chithirai or Chithirai (April – May). Chithirai Thiruvizha ends on April 19. Thikvijayam or the procession of Meenakshi Sundarambal is on April 16, 2019.
the Theertha festival is celebrated on the 12th day with the Lord Shiva and Goddess Parvathi going round Masi streets and blessing the devotees. You can get complete details of the festival in 2019 in Tamil here at the official website.